Tucson, AZ, WHP Press, 11/6/18- The largest prize purse of the handball season produced the most exciting handball of the season, as the R48, WR48, and SR48 pros battled in Tucson’s early season’s “major” in the Southwest desert. R48 #1 Killian Carroll failed to win his second consecutive event and is now tied for the R48 #1 ranking with 2018 Tucson Memorial R48 champion Sean Lenning, who now owns two R48 Men’s pro titles in his last six R48 starts. 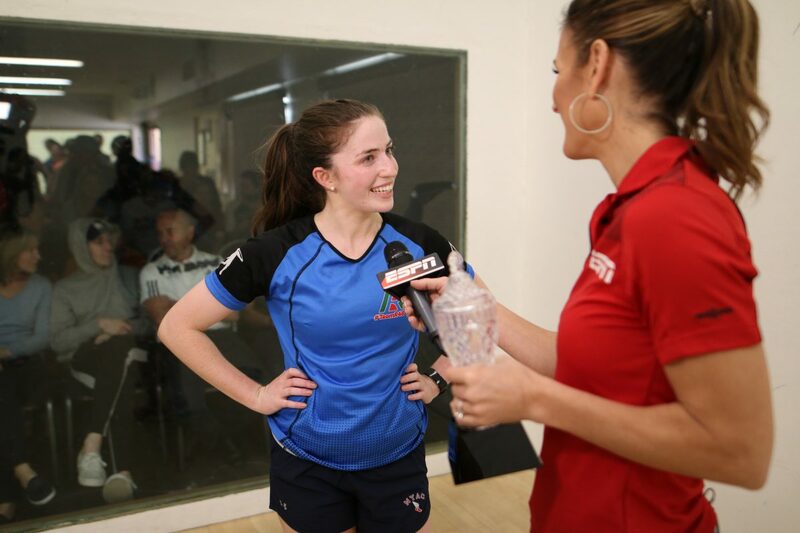 Catriona Casey continued to dominate the WR48, defeating Ciana Ni Churraoin in a two-game final to win her 16th WR48 title in 18 starts. 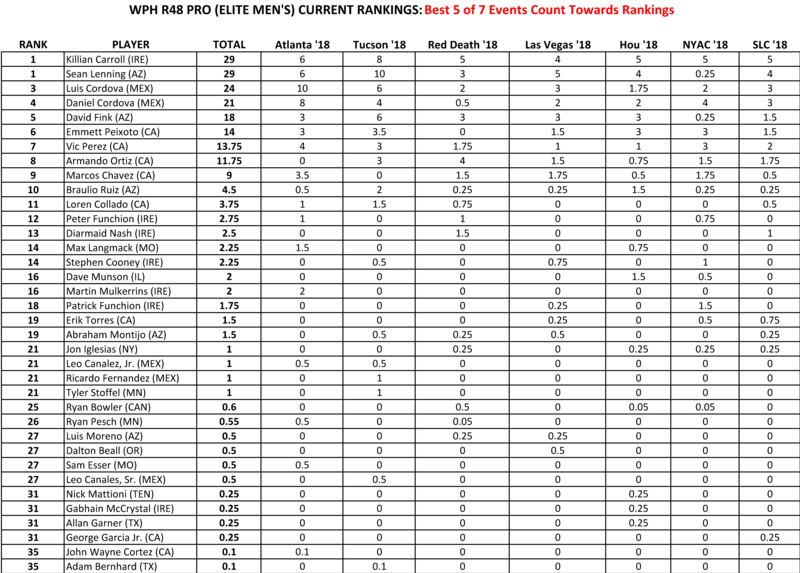 Casey now holds the maximum number of ranking points available on the WR48 tour. 41-year old legend Tracy Davis sits at the #2 spot on the WR48 rankings, with Aimee Tuohey and Dr. Ashley Moler tied for the third spot. David Fink needed a victory over Marcos Chavez in the Tucson Memorial SR48 final to retain his SR48 #1 ranking and did so, ousting the 2018 Southern California Handball Hall of Fame inductee in two games. Making big moves after the 2018 Tucson Memorial were previously unranked Race 4 Eight stars Tyler Hamel (SR48), Ciana Ni Churraoin (WR48), Leo Canales, Sr. (SR48), Leslie Amminson (WR48), and Jennifer Hinman (WR48). Check out all of the Race 4 Eight rankings below.